3 Bedrooms, 2 Bathrooms, 3.5 miles from The Oxford Square, 4 miles from Ole Miss Campus. 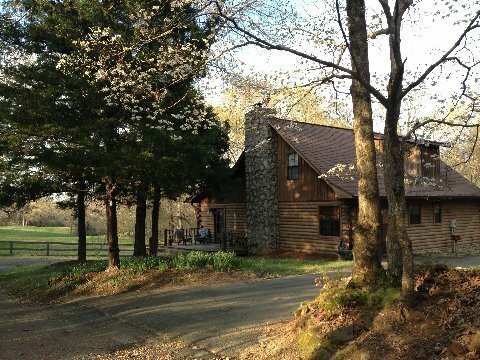 Well-equipped cabin in a serene setting on 500 wooded acres, yet close to Square & campus, outdoor stone fireplace & patio w/grill, new wood floors & tiled kitchen & baths, sleeps 7 – (2 queen beds and 2 twin beds, plus couch that makes into twin bed), full kitchen, laundry room, den with vaulted ceiling plus other sitting areas, quiet retreat. No smoking, pets, nor small children. SEC football game weekends – $1100.